In today’s blog post, Adrian Cox, the top champion of equipment.data, is looking at the University of Southampton workflow for capturing and sharing research kit information. He also has a range of suggestions on what you need to consider and how to improve your workflow and increase the quality of equipment data. Publishing your research equipment data doesn’t need to be just about fulfilling an RCUK policy obligation, wider efficiency and data utilisation benefits can be realised. However, you have to address data quality first. I’m sure we are all familiar with the “Zeiss Microscope” entry or less identifiable “as per order”. Although many institutions will have adopted simple solutions to publish equipment data this doesn’t need to be at the expense of data quality. Reviewing and establishing workflow improvements could address these data quality issues and deliver added value with improved process efficiency and data interoperability e.g. use in reporting impact, booking systems and lab informatics. In this blog I discuss the steps you can take to improve your workflow and therefore data quality. This includes simple requirements to improve source data and gaining ownership from academics or secondary data users. There are a number of methods for publishing equipment data but only two requirements – it has to be discoverable and compliant with the UNIQUIP Data Publishing Specification. The most straightforward method is to publish an Excel spreadsheet and not surprisingly over 50% of institutions we have worked with have chosen this method. However, in many instances this will have been manually annotated, although could easily be exported from another system. In our experience the workflow will typically start with the purchase order request informing records on the institutional asset register (see diagram below). From this point the data can be managed on a local equipment database (either bespoke or component of a CRIS) or as a simple extract from the asset register. Many institutions will have all three systems: an asset register, bespoke equipment database and an equipment module in their CRIS, others simply an asset register. equipment.data’s aggregation programme has the flexibility to harvest data from any one of these systems either as an excel spreadsheet or via a system’s API. Perform an annual check with equipment owners e.g. including additional questions in the institution’s asset verification process. Resource permitting, consider a bespoke database or use of a CRIS equipment module which has additional fields and function to manage data quality in the one system. Many institutions adopting CRIS equipment modules have found the publishing of equipment details for use in impact analysis motivates academic staff to take greater interest in detail, both describing capability and providing additional/updated contact details. At the University of Southampton a workflow, the ‘Equipment Asset Record Lifecycle’, has been developed. The aim was to establish sustainable management of equipment data. Each stage was reviewed and where necessary recommendations made to improve efficiency and sustainability of the process, in particular enabling as much of the data capture from existing workflow as possible. Fundamentally the equipment data management has been largely integrated within existing activity with the simple addition of requesting improved titles in the annual asset verification process. The publishing of a generic email enables update requests throughout the year. What aspects of the workflow should I consider? Is suitable data capture already underway? Can it be aligned with our institutional requirement? Can a suitable dataset be made available from the institution’s finance system? Can data quality be managed within an existing workflow? Do we have the resource or capacity available to support a standalone database? If using an asset register who will provide the ongoing maintenance of data quality? Can I use our CRIS equipment module? How will it be populated in a sustainable way? If you have Pure the University of Aberystwyth developed a solution to enable a full equipment data export from Pure. The programming is available on GitHub. Does your institution require a publically searchable equipment database? This will influence system choice. How do I gain and maintain buy-in? Communication is key! It can be too easy to assume people will use your equipment database. It is evident from institutional engagement and attendance at conferences that there is a need for continued local promotion of equipment databases. Internal communications are essential in awareness raising, maintaining buy in and promoting related developments, this will in turn drive improvements to data quality. Do I need a complex system? As long as your data meets the requirements of the UNIQUIP Data Publishing Specification there is no right or wrong answer, it will come down to what bests suits your workflow. With a very simple application profile many universities were able to make simple adaptations to their existing systems thus automating provision of data in the required format for equipment.data. The University of Southampton’s workflow, for example, is largely automated with manual interventions required at the finance capitalisation stage and when the asset record is linked to the equipment master file view in Agresso. Explore data interoperability. Many systems now have APIs enabling export/import. Academic s will recognise value though may not necessarily wish to contribute to the dataset, but nothing motivates people more than updating public information if it is incorrect! Identify institutional secondary users of the data e.g. other systems or a faculty/school who may use information as active web content. These could be useful promoters of enhanced data quality. Internal and external reporting benefits e.g. EPSRC Annual Account Strategic Equipment report. Engagement with industry via the National Centre for Universities and Business’ Konfer brokerage tool or other regional capability databases. Process and data quality improvements within existing workflow. Fundamentally what is a relatively simple process review could drive a range of efficiencies without the need to introduce new systems. If you would like to find out more about reviewing your equipment data workflow or the use of Agresso to manage the data please get in touch. 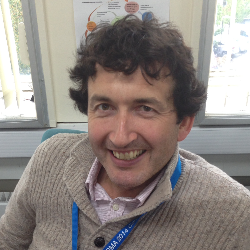 About the author: Adrian joined the University Southampton in 2011 initially leading the development of the University’s research equipment database and the collaborative project, UNIQUIP, defining sector standards for research equipment databases. Building on the success of UNIQUIP Adrian led the development of the RCUK (EPSRC) national equipment portal, equipment.data, using linked open data standards to deliver a national data aggregation and search capability, now hosted by Jisc.